Futurescape Technology is the first ERP company in Maharashtra that has ventured into a solution for co-operative housing societies. CHSONE is our star product offering all-round solutions for the management of the housing societies. And we boast of several unique features to make housing society management process easy to easier. Today we will discuss one such unique feature called ‘E-collection’. E-collection facility has been ideated to track exact details of the payments made against exact units. Ok, let’s take an example. Say a housing society maintain one account with a bank where maintenance fees from the members get deposited. Some members, in fact, these days majority, choose to transfer the amount directly to the account as well as it is hassle-free. Now for society admin, it is not possible to understand who has transferred the amount and against which unit. The only amount is displayed and that too, so many transfers. Unless, the member inform the society that he had paid the amount and provide the particular transaction id, for society it is not easy to locate. In CHSONE, we have tried to address this very area. Without any further communication between the society and the member, society admin can still get the data as to payment has been made against which unit and what is the amount. This has been made possible with deep integration with the bank. Whenever a payment is made against any unit, CHSONE receives the details and records. Therefore, members need not notify the society with transaction details to help track their payment. Note that e-collection facility works regardless of the bank a member is holding an account with. Next obvious question is, how this e-collection facility work? As already mentioned, This has been made possible with deep integration with the bank. CHSONE generates a virtual account with unique 18-character payee name. Once generated, the bank validates the same. Upon validation, the unique 18-character virtual account number is shared with the member and they are required to make payment into that virtual account. 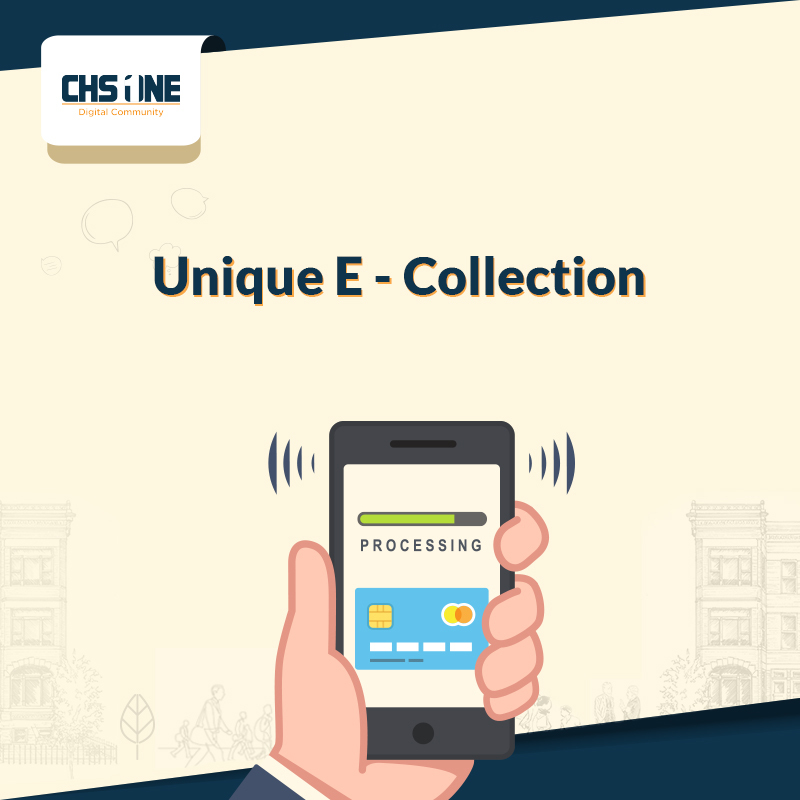 Thereupon, whenever a payment is made into that virtual account, CHSONE gets intimation from the bank and upon tracking the unique number, CHSONE gets to know exactly for which unit the payment is made and how much. It auto-updates the software accordingly and everything without any extra manual communications. If you have any questions regarding this feature or any other features of CHSONE, do put in the comment section below.